Stucco work, in architecture, fine exterior or interior plasterwork, is used as three-dimension ornamentation, as a smooth paintable surface, or as a wet ground for fresco painting. In the modern parlance, the term is most often applied exclusively, especially in the United States, to the rougher plaster coating of exterior walls. 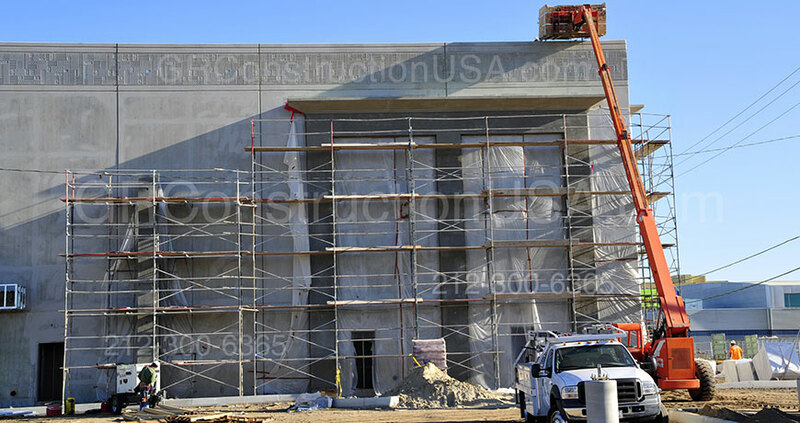 Stucco Contractors offers best quality Stucco repairing services in New York. Stucco or Portland cement plaster is basically a building material made from water, sand, lime and Portland cement. It can be applied to flat or curved surfaces either inside or outside any building or construction. Stucco is mostly used on exterior of structures. Stucco is in use for more than a century as a surface exterior because of its low cost and minimum maintenance requirements. Stucco features varying levels of texture depending on the required finish. Variety of stucco creation methods, based on the weather and the construction structure, are used by Stucco installers. Stucco can be used directly to a solid base such as brickwork or concrete walls, or it can be applied to a solid masonry, or concrete construction. Being the best local stucco contractors, we offer the best quality stucco works for residential as well as commercial properties. Categorised under commercial stucco contractors, our records are a proof that we have provided the best quality materials in commercial stucco constructions. We are famous in completing the big projects in the shortest times. Thanks to over 20 years of experience, our stucco services are famous in the whole area. Stucco Contractor NYC is the best stucco service providers in the whole state. Not only in new constructions, but also famous for stucco repairs. If you want to repair your stucco in best ways, simply contact us. We have a smart team in stucco field with an experience of more than a decade in the stucco industry. Our stucco repair team responses in time and we do not charge extra for any work. We first visit the site, inspect the situation, and then give our feedback. We guarantee that our stucco repair rates are cheapest in the industry. We do not compromise on quality. That’s why we are highly rated in Stucco repairing field.